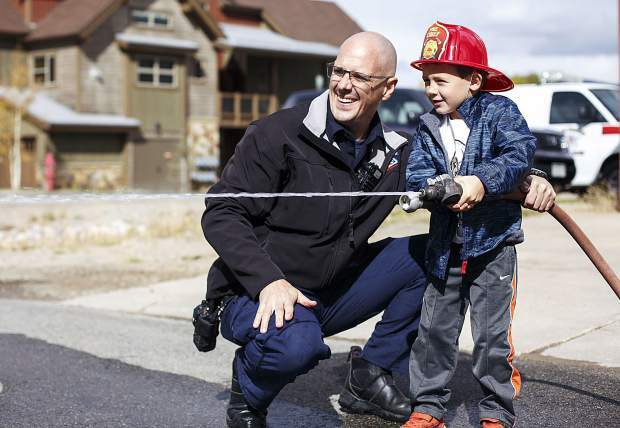 Lake Dillon Fire-Rescue firefighter Jason Bell assists Evan Boller, 5, with the fire hose interactive activity during the Ice Cream Social Saturday, Sept. 30, at the station in Frisco. 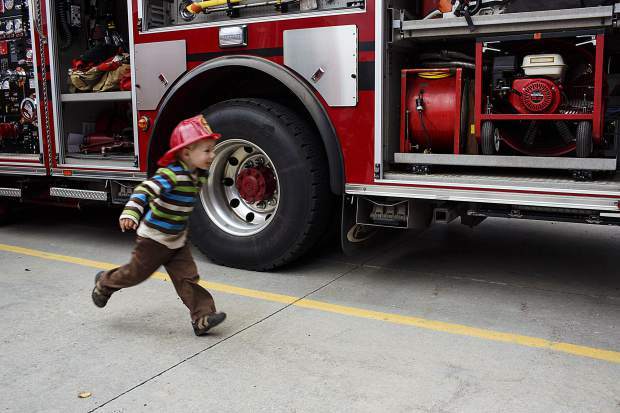 A young visitor runs around the fire truck during the Ice Cream Social Saturday, Sept. 30, at the station in Frisco. 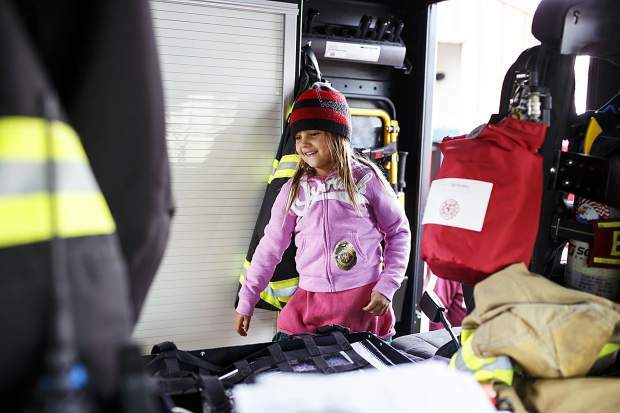 Carina Basil, 5, of Silverthorne, explores the fire truck during the Ice Cream Social Saturday, Sept. 30, at the station in Frisco. 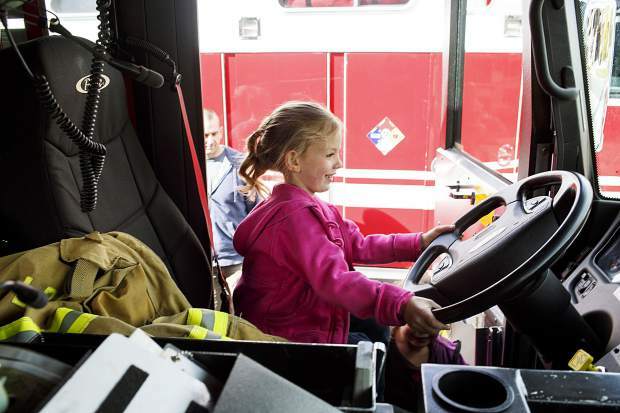 Cadence Ojala, 7, of Silverthorne, explores the fire truck during the Ice Cream Social Saturday, Sept. 30, at the station in Frisco. 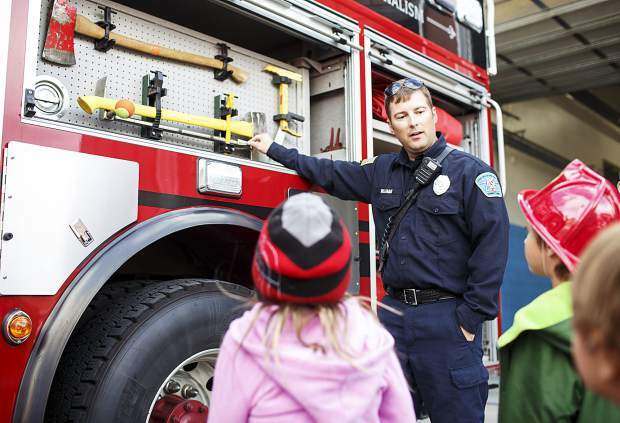 Lake Dillon Fire-Rescue firefighter Mike Williams educates children about tools used to fight fire during the Ice Cream Social Saturday, Sept. 30, at the station in Frisco. 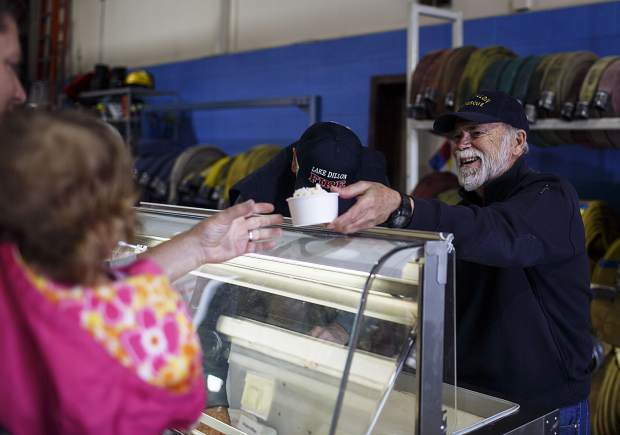 Local residents attend the Ice Cream Social Saturday, Sept. 30, at the station in Frisco. 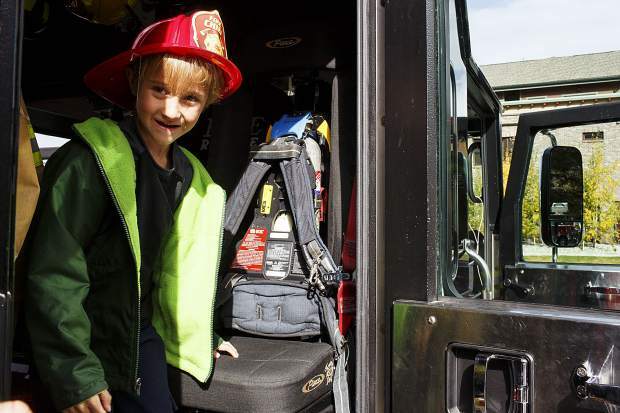 Aspen Ojala, 5, of Silverthorne, explores the fire truck during the Ice Cream Social Saturday, Sept. 30, at the station in Frisco. 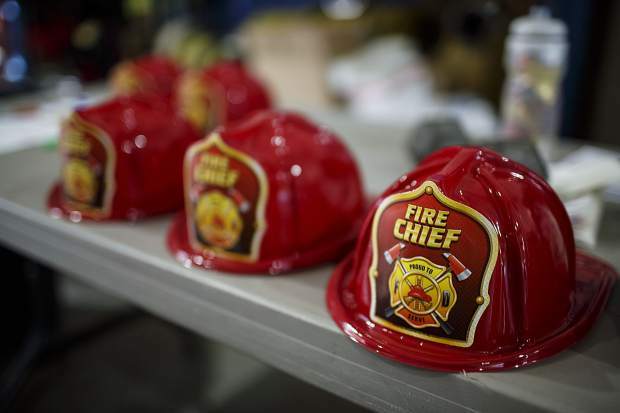 Hats representing the fire department provided to children attending the Ice Cream Social Saturday, Sept. 30, at the station in Frisco. 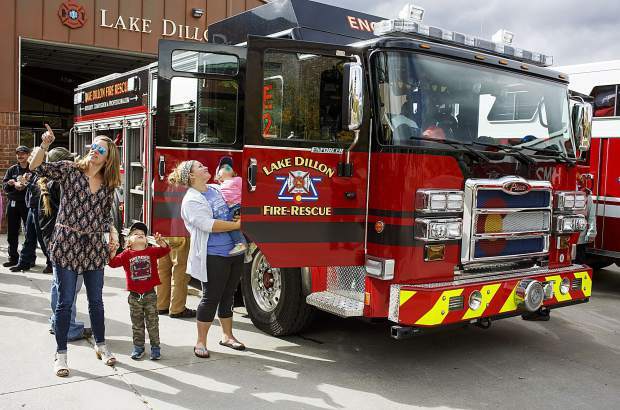 Lake Dillon Fire-Rescue provides free ice cream to attendants during the Ice Cream Social Saturday, Sept. 30, at the station in Frisco.